How long do your paintings take to paint? I love natural details and they do take time to create in paint. Fur, feathers, bark and grass are worked on till they look just like they should. Small paintings take days, larger ones take weeks and the real big ones can take months. Do you teach art? Sometimes I will teach a workshop or private lessons but most of my time is taken working at my easel. How do I purchase a painting from you or your website? Let me know which one you love (rogersart@shaw.ca) and I will let you know it’s price as well as payment and shipping options. 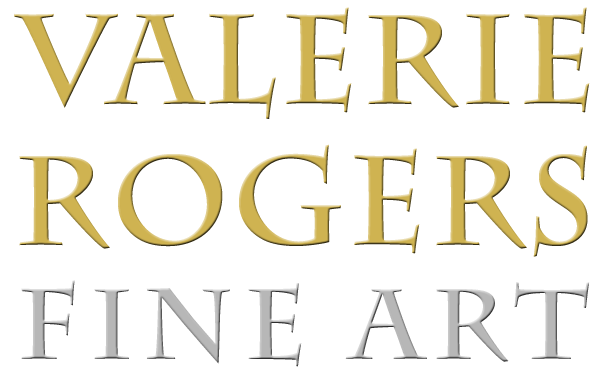 We are the proud owners of some of Valerie Rogers’ paintings. We discovered Valerie’s painting at an art show and instantly felt a connection between us and Valerie. 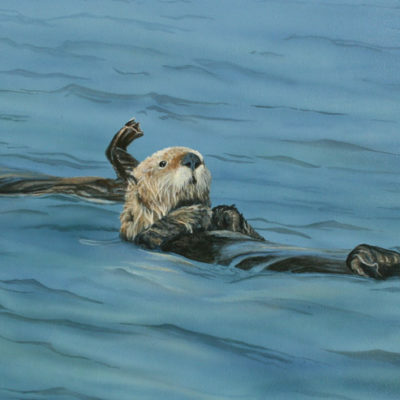 Margaret recognized her immense talent as a wild life artist! Everything always appears very real; including the backgrounds and you can feel yourself being there. She paints realistic emotions in the eyes of her subjects, you know what they are feeling and thinking. Valerie was very easy to deal with. She did not pressure us to buy any painting, but was content to show off her work. At the same time she was very professional, but also very friendly and pleasant. The quality of her work is excellent. We have liked everything that we have seen and have had a hard time deciding which ones to purchase. Margaret suffers from a head and brain injury, and Valerie’s painting have always had a calming effect on her. Margaret has always enjoyed nature and struggles with what she can no longer accomplish. Valerie’s paintings bring her comfort, pleasure and calmness. Valerie’s painting titled “Healing Waters” is all this and more that Margaret really enjoys. Valerie is a well-rounded person who takes part in all facets of life. She is truly a beautiful person inside and out and this is reflected in her Art. 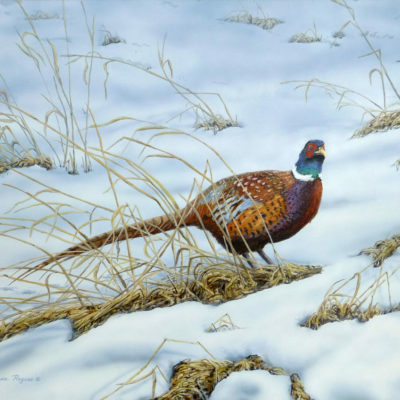 A mutual friend advised me to take a look at Valerie’s wild life paintings, as she felt they would be a beautiful addition to the log cabin we were building. We stopped at the studio in Salmon Arm, and the rest as they say, is history! We instantly became fans of her work. Our first purchase was our gorgeous “out of the dark” moose which we both absolutely love, with many more to follow. A bit of an addiction, actually. What captivates me is Valerie talking about her work. The animation in her eyes as she describes how the painting comes to life, and the depth of her research before brush strokes begin. 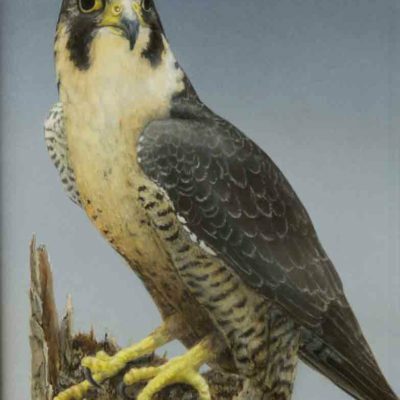 This may include hiking mountains, boating, studying, listening, and photographing, so she gets to know each and every nuance of the creature she intends to capture on canvas. Her efforts become apparent the moment you enter her studio. It’s absolutely breathtaking. It has been such a pleasure dealing with Valerie, whether it be purchasing one of her works, or commissioning her for a unique, personalized treasure. She was most accommodating when we commissioned her for a portrait of our grandson. Her goal was to ensure that we received the most lifelike image. This portrait was a gift, and tears were shed when it was opened and that beautiful little boy looked right at us. It couldn’t have been a happier moment. Valerie is very professional to deal with. For one as talented, and receiving of such prestigious awards as BCWF Artist of the Year, she remains humble and down to earth, and I am honoured to know her. Valerie is an exceptional acrylic and watercolour artist. One can see in her artwork the passion she has for nature’s features and creatures. It was a pleasure to have “Nature’s Footsteps,” a solo exhibition of her artwork in our public gallery for two months in 2015. Her gentle style resonated with visitors and told a story of respect and wonder. 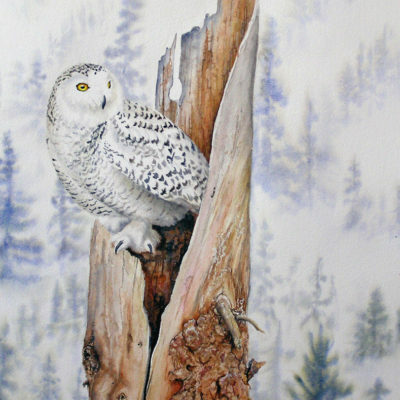 We celebrated that she was chosen once again as BC Wildlife Federation’s Artist of the Year in 2016. Her desire to protect the environment is as strong as her interest in art, which makes her the ideal representative for the organization. Valerie has always shown a degree of professionalism and commitment when working with this gallery. She has a full understanding of the arts sector and our efforts to attain a high standard in exhibiting contemporary Canadian art. Over the past ten years, Valerie has participated in our education programming, showing youth that artists are an integral part of every community. Overall her contribution to the arts community in Salmon Arm has been significant, and we are delighted to recommend her for any endeavour.